Tortured for His Faith: An Epic of Christian Courage and Heroism in Our Day. Haralan Popov was the pastor of one of the largest churches in Bulgaria. The Communist government imprisoned him for 15 years. I recently read the book The Long Walk which is the story of a man who escaped a Russian work camp. I read Tortured for his Faith because I wanted to read another view of Russian prison camps. 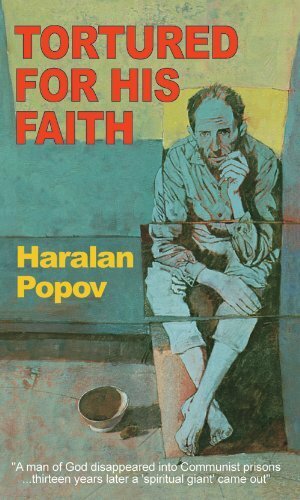 Popov though was a Christian prisoner, but was prosecuted as being a spy. He spent thirteen years using the situation that God gave him to share the gospel. I felt that this story was very inspiring and a good reminder to Christian’s that God works in mysterious ways.